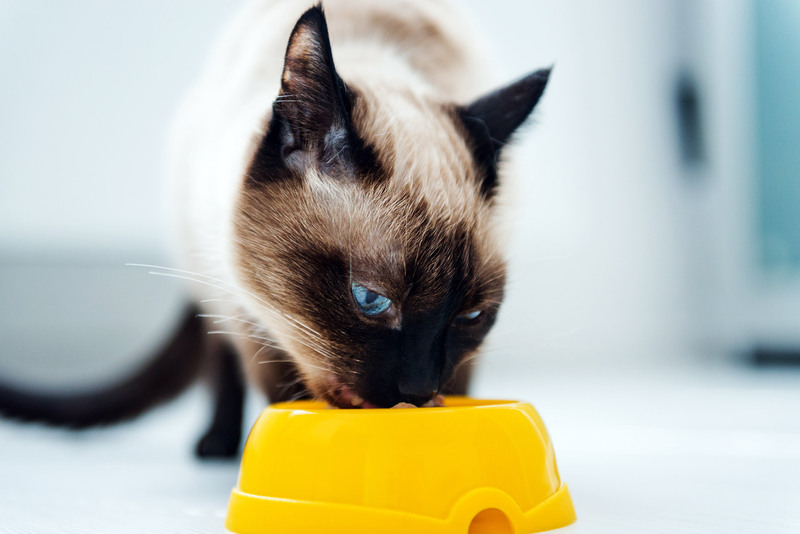 With the number of feline hyperthyroidism diagnoses on the rise in cats, a new study has come out that suggests fish-flavored food may be a big cause in addition to environmental pollutants. Previous studies have shown that environmental pollutants and their byproducts have been detected in blood samples from cats. These byproducts can also be toxic to cats, and most are banned in many countries because they could be harmful to humans. A team of researchers from Japan wanted to see if these byproducts could also be sourced from natural sources, like fish—a common cat food ingredient. The study in American Chemistry’s Environmental Science and Technology had researchers testing both cat food and blood samples from cats. The team concluded that the high level of byproducts detected in the cats’ blood samples were likely not from environmental pollutants like polychlorinated biphenyls (PCBs) or polybrominated diphenyl (PBDEs), but rather from the fish-flavored food. The reasoning is because of the cat’s lowered ability to metabolize the chemical compounds found in the food. Further research is needed to clarify if these metabolites contribute to hyperthyroidism in cats.